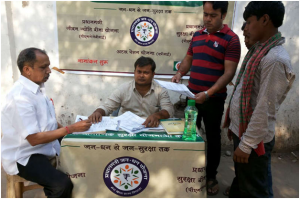 The highly famed and hyped Pradhan Mantri Bima Yojana has been launched in Indian market and the yojana has been quite successful in eliciting a rave and enthusiast response from the subscribers belonging to different social strata. It is essential to note in this regard that till date there has been a whopping enrollment crossing the threshold of 1 crore. Here is an insight which offers you a peep inside the beneficial edge of the Pradhan Mantri Bima Yojana. What makes it so adorable? If you knock the door of an insurance entity the first thing that is going to haunt your mind is surely the premium which you are supposed to pay yearly. The amount of premium at times is high depending on your age as well your specific situation. This is exactly where the Pradhan Mantri Bima Yojana excels. While opting for the cover you are going to get a back up of Rs. 2 lakh against a meager or low premium of Rs, 12. You will be required to pay this premium yearly. There is absolutely no denying that the announcement of the Pradhan Mantri Bima Yojana has literally helped a lot of households in India to heave a sigh of relief. Pradhan Mantri Bima Yojana is being catered in the Indian market by none other than NIA or New India Assurance. The much talked about PMSBY cover has a tie up with at least 170 banks in Indian market. By getting this cover you will be entitled to have specific benefits against mishaps and demise. 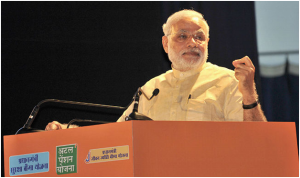 What would be the eligibility for the Pradhan Mantri Bima Yojana? In order to grab the benefits of Pradhan Mantri Bima Yojana you have to be within the age limit of 18 to 70 years. You will be required to have the proof that you are an Indian national. All the relevant documents have to be submitted to the banking authorities. If you want your kids to be ensured under this scheme then the nominee details will have to be provided. You will be entitled to enjoy the fruits or the benefits of the Pradhan Mantri Bima Yojana policy from June 1 of 2015 to May 31st of 2016. There is a prescribed form to avail this yojana and you will be required to submit it within May 31st of 2015. However, the date of final submission of Pradhan Mantri Bima Yojana has been extended to 31st August of 2015. There is not any scope of harassment or trouble pertaining to the fact of premium collection. As per the norms of this highly resourceful scheme the premiums are going to be auto debited. So, you can truly feel relaxed about it. What would be your take on the much talked about Pradhan Mantri Bima Yojana? Do you really think that this particular yojana is going to be resourceful and beneficial for the common people of India? Please feel free to share your views with us.